St. Luke is a beautiful setting for St. Luke members to enjoy weddings and receptions. St. Luke members are asked to meet with the Pastor to discuss wedding plans and to review the St. Luke wedding guidelines. Please contact the pastor as soon as possible when planning for a wedding at St. Luke. As a general rule, the St. Luke sanctuary is not rented out to non-members for weddings. Anyone interested in getting married in the St. Luke Sanctuary is invited to attend Sunday worship services and meet with the pastor personally. 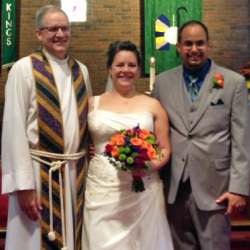 All couples being married at St. Luke are required to have three or more counseling sessions with the pastor. 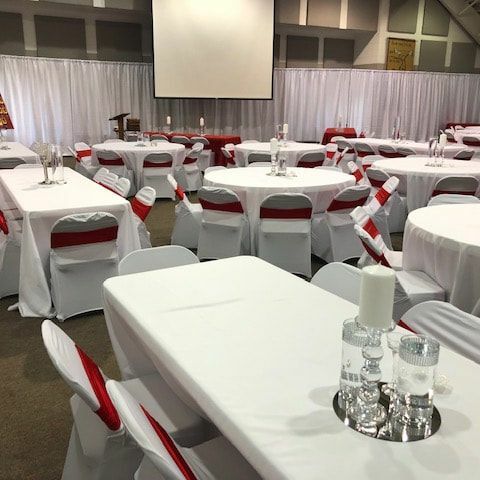 The Christian Fellowship Center (CFC) is available for wedding receptions and parties. The Sacrament of Baptism is for everyone! We at St. Luke see baptism as a sign of the new life that God gives us in Jesus and as a symbol of unity between all who bear the name Christian. Regardless of age, language, culture, gender, or background, St. Luke welcomes all people to be washed in God’s water of life. 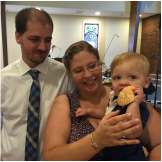 If you are a parent of an child, or an adult seeking baptism, start by contacting the pastor. The pastor will meet with you to discuss the sacrament of baptism. Parents are asked to meet with the pastor to plan and review the baptismal service. Adults seeking to be baptized will meet with the pastor to discuss a discipleship plan. All baptisms are held in the St. Luke sanctuary as a part of the worship service unless specific conditions prevent this. For Lutherans the amount of water used for the baptism is secondary to the promises of God. Baptisms may be by sprinkling water, immersion in a large bowl of water, or held outdoors in a pool or lake. At the time of the death of a loved one, it is a comfort to gather as a Christian community to support one another and remember the deceased with a funeral service. St. Luke members need only to contact the pastor or church administrator to begin planning for the funeral and counseling with the pastor. It is preferred to have the funeral service in the St. Luke sanctuary. In the event of a service at a funeral home, it is important to contact the pastor at the time of planning the service at the funeral home. Christian funerals may include a casket, an urn with cremains, or a simple memorial service with a picture of the deceased. St. Luke will work with the family and the funeral home to meet the needs of the family during this time of loss. Funeral luncheons following the service are available in the Christian Fellowship Center (CFC). The church narthex is also available for visitations and viewing with the cooperation of the funeral home. 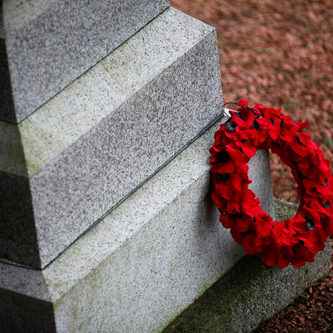 There are no costs or fees for a funeral of St. Luke members. The pastor and St. Luke sanctuary may be available for nonmember funerals after consultation with the pastor.